The Resettlement site: Better lives or more poverty? “They (dam developer) said that our lives would be better, we would have lot of money and good houses, we would be happier. But, look what we are now, we even could not think how our lives going to be in the future”, one old man expressed his hardship feeling that was repressed in his heart for long time. Xayabuli Dam, was called as Mekong Dam by local people, is the first dam on Mekong mainstream which it is under construction in the country who aimed to be ‘battery of Southeast Asia’. The project’s developers, including Thai company Ch. 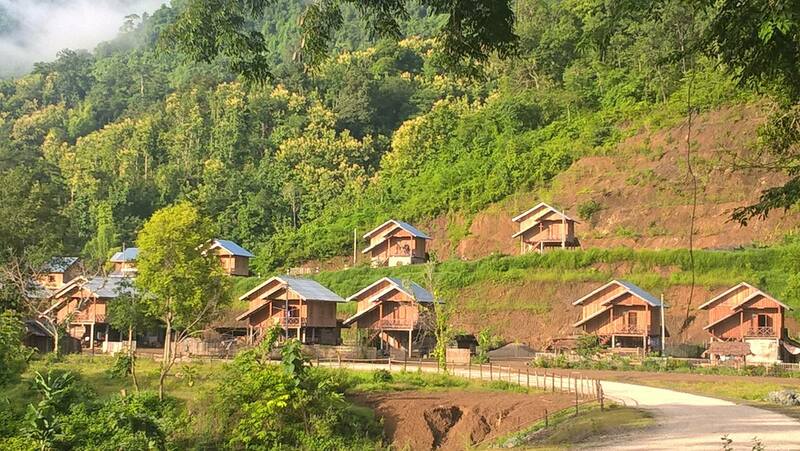 Karnchang and the Lao government, have promised to build new resettlement homes for some villagers, compensate people for lost trees and gardens, and provide new job training. But, it was reported that those have not been sufficient. Form the day project started construction until now, the hundreds of displaced people have already tasted the lives in resettlement sites with difficult struggles and the livelihoods of many villagers have not been restore to meet better lives as company promised yet. Almost 10 villages have already been relocated in resettlement sites. In next coming year, the rest of the villages in reservoir area that were listed as flooded villages, would be relocated. “No matter how long I have been staying here, I have no relationship or love to this place. The thing, I only dream to my spirit place which nothing could replace what we lost.” An old woman in the resettlement site strongly expressed with disappointment what they are facing. Hearing villagers repeated same sentences over and over that “we really enjoyed our lives in old village, we had never thought before that our lives would be like we are facing now. We really disappointed”, it was really stuck and I could touch that how sadness they are. Many villagers said that their lives now could not compare what they had in the past. In the past, in their old village, they vocalized that they really enjoyed going to their wealthy farm in the upland and came back home with vary of vegetable. Catching fish with their traditional boats and using tradition fishing tools was culture of people who lived along Mekong River side. Villagers also said that they were really happy that their accentors established their villages there with rich place of food and income from generation to generation. 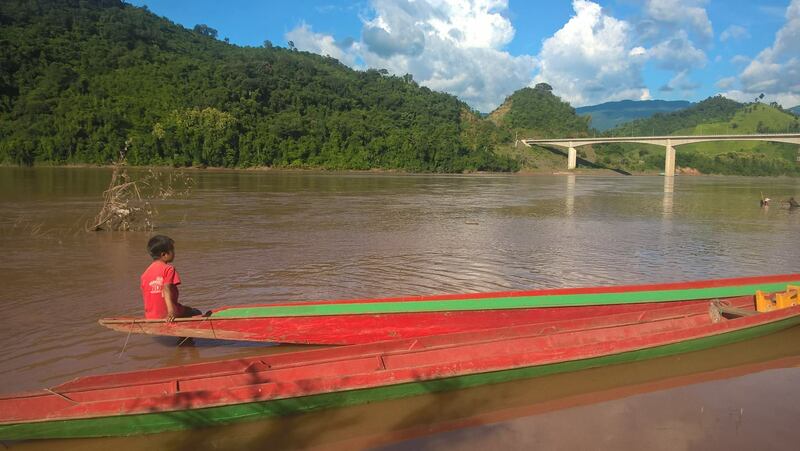 “After came back from the farm, our community members especially women and children went to pan gold along Mekong riverside. It used to be our happy daily lives”, One woman retold about her life in old village with the feeling of missing her spirit home. Villagers in resettlement site reported that their lives now are more difficult than before because in new place, it lacks of agricultural land, difficult to access to the food source and many villagers are facing risk now, especially the vulnerable groups like poor families and disable people. Saying, the relocation of Xayabuli dam did not only destroy villagers’ livelihoods, but also ruined social lives. In the past, they treated each other like family by sharing food to each other or exchange things, but it rarely happened now because they are deficient. They even support their own family with extreme hardness. “I regretted it, because we lost our lively lives there”, one woman voiced out with sad feeling. In fact, many villagers did not want to move from their old places, but they could not do anything about this. The only thing was they must accept it.“They could relocate us here, but they could not relocate our spirits. I still remember that the day we forced to move I heard many cried and I cried too”, an old woman spoke out with sadness and anger. Dam developer only pushed forward the project to go further while let villagers behind to face insecurity of lives and many villagers just complained that “where is our better lives?”. in the past we were rich of food. For example, if we wanted to eat fish, we just went to catch fish in Mekong river”, one respectful man strongly confirmed. Similarly, many villagers supported that now it is very difficult for them to do like they used to do before. So, it is no doubt that many villagers just go back to their old village to fish food and catching fish since in resettlement site does not afford them to do so. Villagers also claimed that every aspects of compensation are not only little, but the process of compensation especially job providing was very slow and complicated too. Worse, provided jobs could not make their lives better and many villagers claimed that those jobs could not replace what they used to do in the old village (Ban Khau). One old man also said comparatively that in past the families who were poor, they were not difficult like they are now, at least in the past they had rice field, and fish in river. But there is none now. Did company really keep the promises? claimed the same words. As the company promised to villagers that they would do everything to meet requirement and would make better, but the fact is totally wrong. Company did not do what they agreed to do and that caused many villagers disappointed with the results. Since beginning, the company already violated the agreement physically and mentally that they did with villagers even though. It is very clear if we look at decree No. 192/PM on the Compensation and Resettlement of Development project. Then we can see that how much company violated this decree. In fact, we could see it through our eyes from the reality in resettlement site and hearing from villagers. “We could not trust company anymore, they only talked about it, but they did not do properly. I have no faith on them anymore”, a young lady strongly complained. It is also reported that there are no compensation for the loss of gold panning, fishing which villagers claimed that those were the main sources of making income. “How do you think about poverty alleviation”, I asked many villagers and almost of them said it means when their lives in the past. In the past, they said they did not need money to buy things because they already had food market in the forest and river and yes, they had gold along the creek in their village. The poverty alleviation policy that company and local authorities repeated over and over in resettlement site made villagers boring, and no faith on it. “It will not happen if our lives still facing like we are now”, old woman strongly opposed. 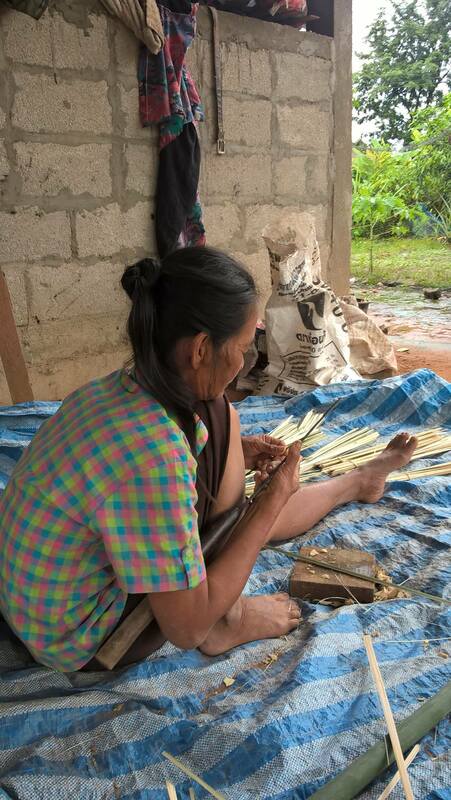 Since several villagers were relocated until now, their lives are more and more difficult. only gave little land to us and told us to plant only banana tree instead of planting rice”, He added. The problem already happened as Houy Souy village (known as Natoryai village now) are facing problem that many people claimed the land they got was very limited (only 0.75 hectare/household) and because of the economic development policy from the authorities, they needed to plant rubber trees which villagers claimed that it was wrong to do that. Villagers said they needed the land for growing rice, but company and government authorities did not agree and did not allow us to plant rice. “we had our own theory that was the principle that villagers had for many generations that we were born as farmers, we believe that that agricultural land is the most important for us, but those who came from outside only laughed at us for this idea”, some villagers added. Almost of villagers in resettlement sites said that they really concern about their lives in the future which many villagers said that if their lives still have lot of troubles like they are having now, then who will come and solve to get rid of this terrible lives ? 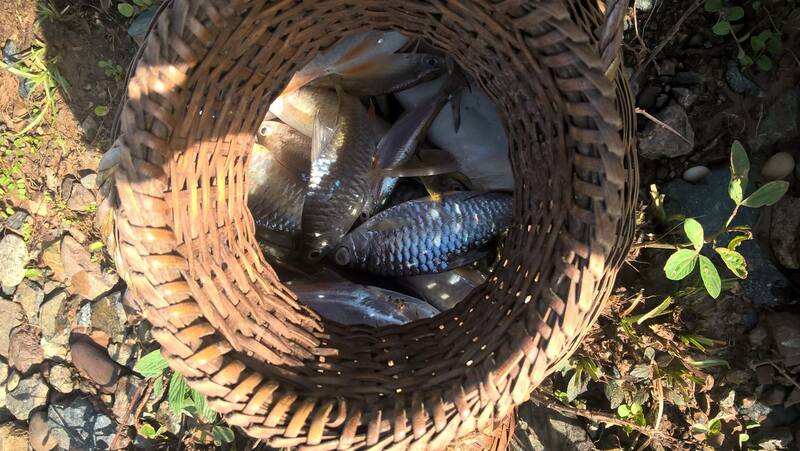 Catching fish is getting risk: A fisherman in Thadeua village spent almost three hours to get this amount of fish. Unlike in the past, they got more and spent less hours. Xayaburi province. September, 2015. “We try to understand what government doing is to develop country, but we also want to have good lives. Our lives should not be to like this”, an old man pointed out. Saying, villagers did not oppose the development projects from government, but they need development projects that make their lives better not worse. As the similar issue already happened caused by Nam Theun2 dam. In the years since thousands of villagers were relocated, they still struggle from the loss of their traditional livelihoods, having lost access paddy and widen fields, forest and surviving with small and limited scale of land. Also the fish stock in reservoir area has significantly declined. What is the cost of the project really mean to these villagers since several have been bearing hardship from this project? 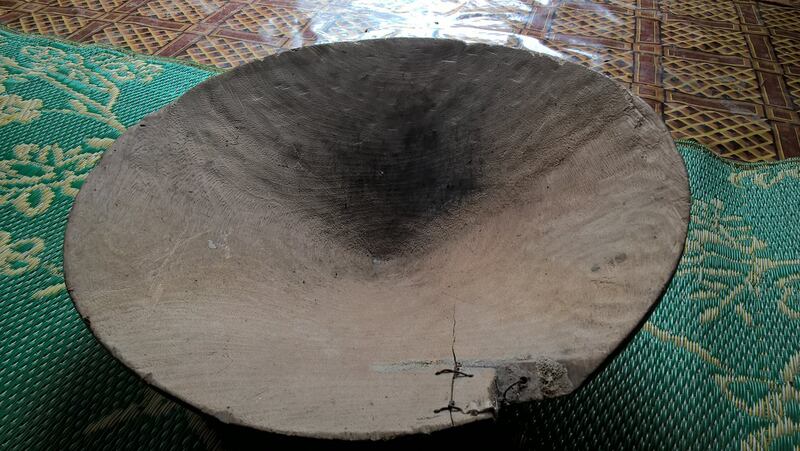 Only memory: Villagers in Pakneun village (one village was relocated into Neunsavang village) used to use this material to pan gold along Pakneun creek. Neunsavang village, Nan district, Lungprabang province. September, 2015. As villagers forced to satisfy all their valuable things: homes, culture, natural resources, government and company need to take action and find the way to solve the problem, not let them behind like they are acting now. And government needs to look back and answer the question by themselves that what dose economic development really mean as aimed to reduce poverty in this country if it finally results with thousands displace people? 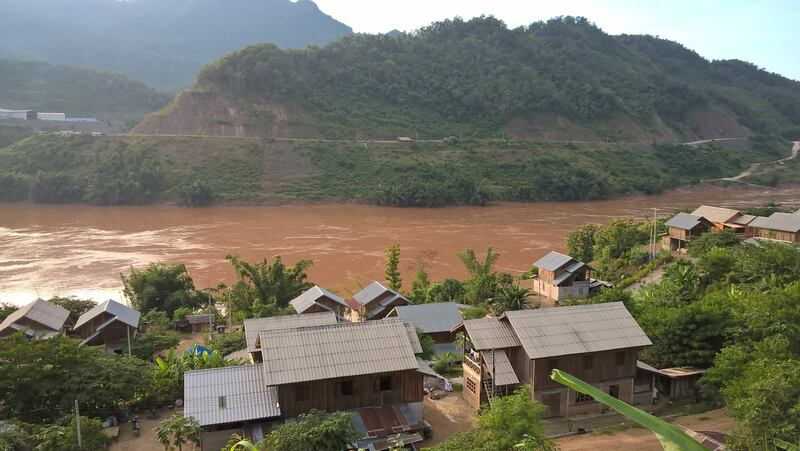 Radio Free Asia “Assistance for Villagers Resettled by Xayyaburi Dam to Last One Year”, Lat modified September 28,2015. http://www.rfa.org/english/news/laos/xayaburi-06182013164824.html. 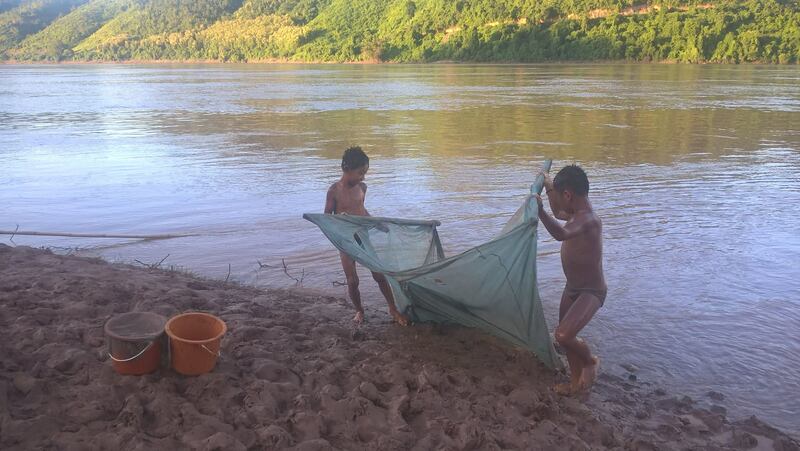 International Rivers “Resettlement activities at the Xayaburi Dam site have violated Lao law”, Last modified September28, 2015. http://www.internationalrivers.org/th/resources/the-xayaburi-dam-threatening-food-security-in-the-mekong-7675. See the attached files: Annex 2: Does the Xayaburi resettlement comply with Lao law? And Annex 3: Does the Xayaburi resettlement comply with World Bank standards?